I received an email a few days ago from a filmmaker named Wajahat Ali Abbasi. He is currently trying to find funding for what sounds like a truly remarkable story that the world really needs to be aware of. 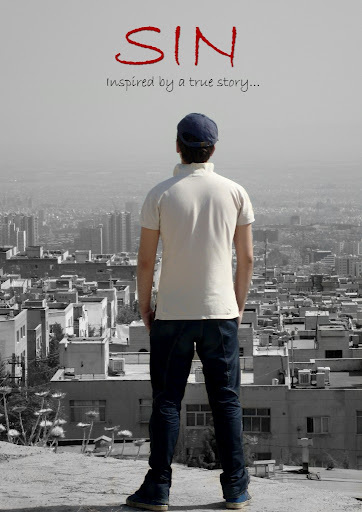 Inspired by a true story, ‘Sin’ is a feature film which will bring to life an emotional tale of a teenager who was killed by public hanging along with his partner in Iran because he was gay. Videos and pictures of this sad incident were released online in July 2005, but the world forgot about it soon after. Through this movie we will get to know this teenager’s life, whose only crime was that he wanted to be accepted by his society, with his true identity. Through this tragic story some important question will be addressed; Why some people who are in love don’t have the same rights, as others? Is it just because they are different from what the world expects them to be? There are no words in any language to adequately convey the level of sympathy, and body-crushing grief for someone losing their life because they are gay or lesbian. Wajahat Ali Abbasi has a passion for thos project, and I believe that this film has the potential to open hearts and minds, which is the only way equality will become a reality. To learn more about this project you can check it out on SIN’s Kickstarter page. There you can not only read about the project, but you can connect with the filmmaker and help fund the project. * Step 1: Read through the pledge levels and rewards we’re offering in the right sidebar of the Kickstarter page. * Step 2: Click the large, green “BACK THIS PROJECT” button to the right of the trailer video at the top of the Kickstarter page. * Step 3: Enter your pledge amount – and complete the steps for filling in your information. This process takes just a few seconds. This entry was posted on Wednesday, September 19th, 2012 at 6:41 am	and posted in Uncategorized. You can follow any responses to this entry through the RSS 2.0 feed.